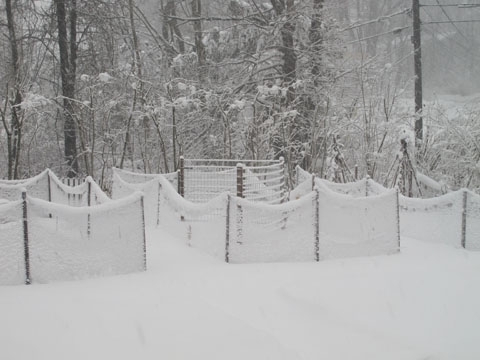 It's hard to do when the garden looks like this…. But our seeds are here, and I have to start getting some seedlings going! Oh Spring, get here soon!! 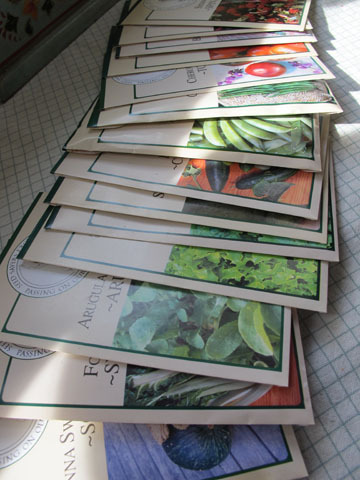 We ordered most of our seeds from Seed Savers Exchange. We got a bunch of great stuff. But check out the fun spinach we got. Strawberry Spinach. It had edible berries. Weird, right? you must come in june to pick! 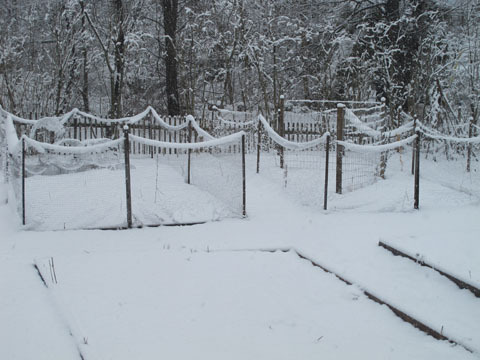 Your garden…wow!!!! I can tell it WILL be just lovely! i’m so jealous! i can’t wait till we move out of the city and get a house where i can have a garden. sigh….. It is so wonderful to have a garden! But of course, it would be great to live in the city…so much to do! !